Whether for business, pleasure or investment, Cape Town is constantly ranked in the top tier of cities across the world. The city has received so many accolades from leading business organisations, world bodies, tourism bureaus and traveler bible Lonely Planet, that there are simply too many awards to list or mention individually. It suffices to say that Cape Town is lauded for its hard-to-beat natural beauty, including the world famous Table Mountain, a natural monument that’s majestic and iconic in its own right. Then there are the world famous beaches from Clifton to Sandy Bay, Strand and Hermanus, spectacular indigenous varieties of flaura and fauna, wildlife, world class shopping and a huge host of other attractions. Cape Town has solid road infrastructure but the local passenger railway service often leaves much to be desired. Trains are sometimes vandalised, and are often late. One problematic issue is that the local rail service does not criss-cross Cape Town all that well, even if you do link to a bus service, although the FishHoek line along scenic Simonstown is well worth the ride. The MyCiti bus service is fast and nippy, but this modernised transport venture is still in the process of being rolled out across all routes. By far the best option to get around Cape Town is to hire a car, or to take a taxi from Cape Town to the city and surrounds. Hailing a taxi from Cape Town International airport is super easy, safe and quick. 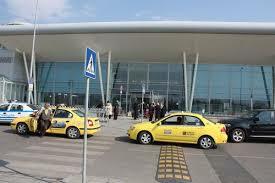 It is easy to find a private Uber-style taxi from Cape Town airport to the city or anywhere else in the vicinity, as there are rides a-plenty at the Pick-up-and-go sections of the airport just outside the exits. A taxi from Cape Town International airport to the city centre along major highway, the N2, will take you about 25 minutes in off-peak traffic, and you’ll be at the other major hub, the V&A Waterfront in about 35 minutes. Cape Town airport taxi fares are comparable to those you might expect to pay anywhere else in the world, but you’ll pay less getting around in Cape Town than you do in the UK, for example. A typical ride into the city centre, near both the Convention Centre and the V&A waterfront will cost you between R190 and R270 (U$15 and U$23). 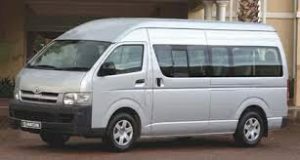 Cape Town airport taxi fares are based on the kind of cab you hail (for example, small hatchback, black cab or large sedan), whether the cab is stationed at the airport or needs to travel to fetch you, and the distance away, calculated per kilometer. Of course, rates usually escalate during peak hours, although this can be mitigated by pre-booking your cab. Services offering flat rates in all traffic conditions are also available. The airport itself is small by international standards, inviting and homely. It is, however, convenient with readily available banking and mobile phone services littered throughout the airport. Restaurants, private lounges and fine shopping are part of the airport’s appeal. Security is highly visible, as are information kiosks, which are centrally located on all floors. Should you need to estimate Cape Town airport taxi fares to any destination when you land, approach the information kiosks as to the various services available as well as the approximate cost. The mountain is so-named because of its flat top, which resembles a table. It is visible from most parts of the city. Explore the hiking routes, but do not venture off marked main routes, as the mountain becomes fogged up or unseasonally cold at the most unpredictable times, especially in autumn or winter. Additionally, Table Mountain has a table cloth of cloud that descends on the mountain between midday to early afternoon, somewhat hampering visibility and leading to light showers. The mountain has also been the site of many a marriage proposal. Prepare a picnic basket and enjoy the spectacular view from the cable car, which has been in operation since 1929. The cable car is safe, modern, well maintained and offers panoramic, 350-degree views of the city and most taxi drivers would be willing to talk you through the scenic, 26-kilometre, 30-minute route. Peak hours out of the airport are between 6.30 am and 7.45 am and 5pm to 6.15 pm at night. You’ll pay between R200 to R350 for a taxi from Cape Town airport to Table Mountain. While you’re in the vicinity, also check out the Instagram-worthy views from Lion’s Head and Signal Hill. ‘Bru’ is the local Afrikaans greeting that means ‘brother’ and is used as a play on ‘brew’ when drinking beer. One of the biggest breweries in the southern hemisphere is to be found at the South African Brewery (SAB) in Newlands, which is also home to the world famous rugby stadium and cricket grounds. SAB offers superb tasting tours through its 200-year-old brewery. A taxi from Cape Town airport to SAB will cost you between R150 and R200. If you’re arriving on a Saturday morning, why not take a taxi from Cape Town airport straight to the Old Biscuit Mill in Woodstock, where you can expect to sample some of the finest artisanal baked goods, local foods, delicacies and clothing the Mother City has to offer. This sweet and savoury giant goodie bag remains ever popular with locals and visitors alike. Conveniently, it is also situated next to another wildly popular market, the neigbourgoods market. Expect to pay about R130 to R150 when you hail a taxi from Cape Town airport to this endearingly delicious foodie paradise. You simply cannot visit Cape Town and not experience the Victoria and Alfred Waterfront. In fact, this is one of the top ride requests as far as getting a taxi from Cape Town airport goes. The V&A Waterfront is the premier shopping, entertainment, accommodation and adventure portal in the Mother City. Looking for luxury brands or some of Cape Town’s finest sushi and other food offerings? You’ve found it, all in one complex. You’ll also be able to book your ferry ride to Robben Island museum at the Clock Tower precinct. Robben Island was home to Nelson Mandela – often called history’s greatest statesman – during the height of his incarceration. The fare for a taxi from Cape Town airport to the waterfront will set you back about R250.